Place chicken in the crock pot. Add butter, cream of chicken soup, chicken broth, diced onion, and parsley. Cook on high for 4-6 hours or low for 8-10. 30 minutes before chicken is finished cooking, cut biscuits into 9 pieces and add to crock pot. Gently stir to coat biscuits. Continue to cook for 30 minutes, then serve! Looking for an easy meal your family will love? Look no further!! 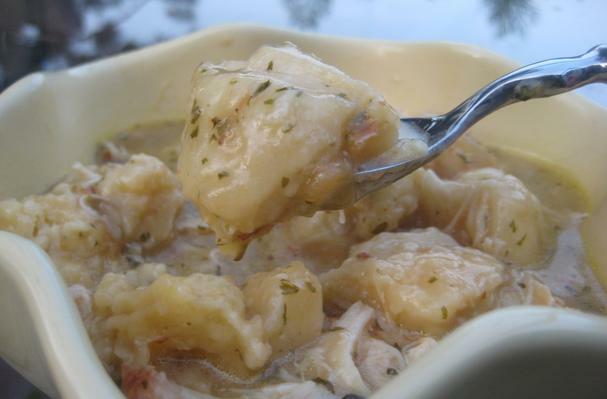 This Crock Pot Chicken and Dumplings Recipe is sure to please! It's really a cross between Chicken and Dumplings, Chicken stew and Chicken Pot Pie! Add your own personal touches like peas, carrots, potatoes or even mushrooms to make it your own!! After cooking time has elapsed, take a fork and break up the chicken into pieces. Serve hot! 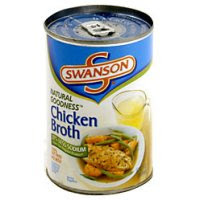 Add more chicken broth as necessary.